Here at BrickNerd we like to look back from time to time. 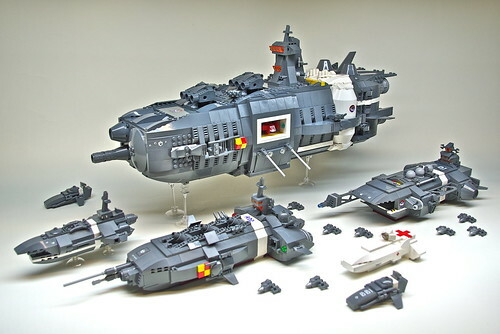 Check out this stunning micro fleet by The Brothers Brick's own Andrew Becraft. I love the retro WWII vibe to these, and the way they are all vastly different, yet feel like they belong together. There's a chunkyness and weight to these, yet enough small detail that lends scale. And they all seem purpose built, each serving their distinct needs. A well rounded fleet indeed.